It's been a long time since the last time I wrote in the post. Unfortunately, in this period, I'm very busy and I had some problems to play. Starting from December I restart to play DBM or better DBMM. It is a very complex rule book and with significant differences respect DBM. I'm preparing a late roman army but unfortunately I'm not finished yet. A DBMM army is very long work to complete if you want arrange all options included in a Baker's list. Dec 30, 2013: Late Imperial Roman vs Macedonian Early Successor. 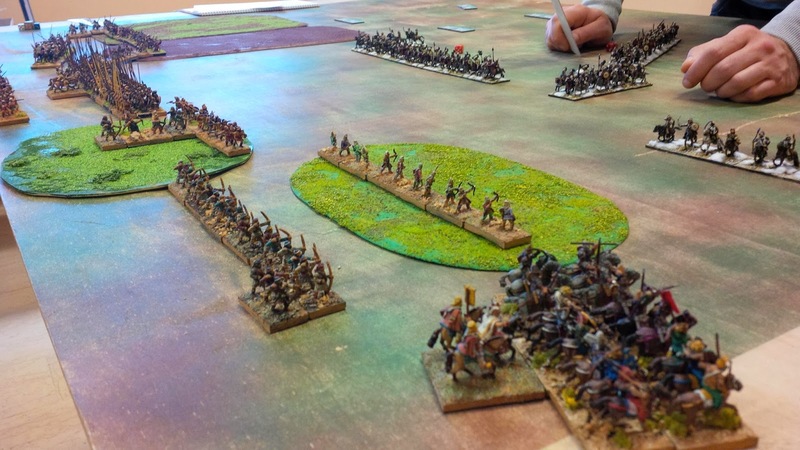 The Macedonians are painted by Riccardo and commanded by Filippo. Late Imperial Roman are painted and commanded by Marco D. and (partially) by me. To be honest my contribution in miniatures was limited to ten base (partially reproduced in the photo above as the four roman auxiliaries with the brown bases on the right). I was assigned to left wing but the struggle was fought principally at the center.. 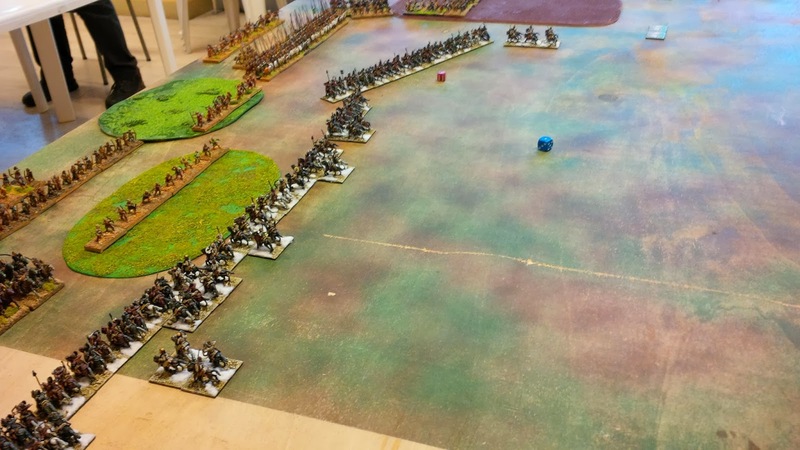 The Macedonians elephants walk literally on the Gothic warbands while, on the right roman, artilleries and archers try to slow down Macedonians forces but … without success. An the left Romans and Macedonians watch reciprocally. Greeks are painted by Riccardo and Giancarlo and commanded by me. 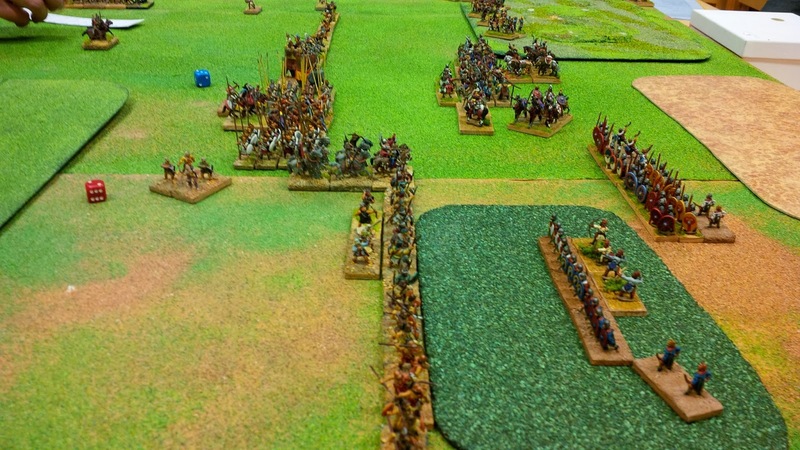 Huns are painted and commanded by Filippo. It was a training battle in which I remained in a defensive position. 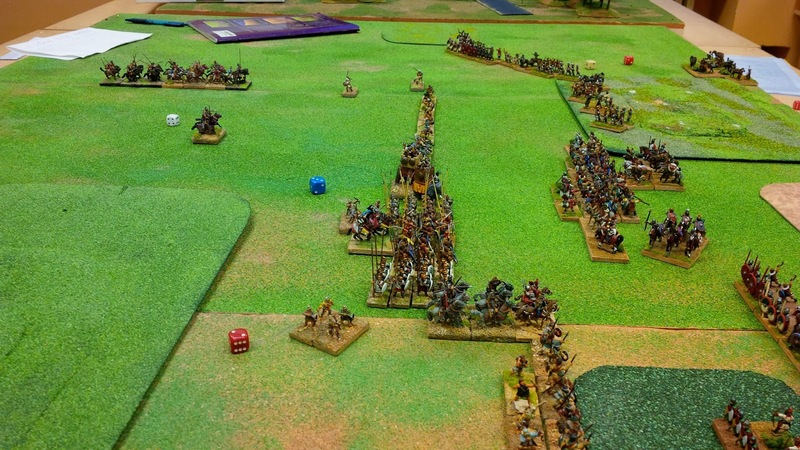 The battle was concentrated on my right wing and it was substantially a tie … cavalry against cavalry. 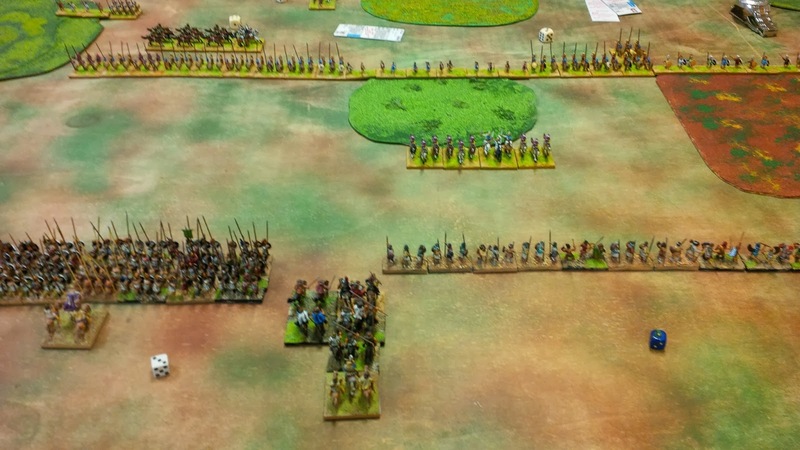 Macedonians are painted by Riccardo and Giancarlo and commanded by me. Alexandrian Macedonians are commanded by Giorgio. A collapse for Early Successor. I tried to push my phalanx against the enemy center but Giorgio was very skilled to avoid a direct contact that could be disastrous for his troops. I wrongly assigned the highest dice to phalanx while Alexandrian knights destroyed my left wing that wrongly had psiloi in the first ranks.